What can 64 cents get you? 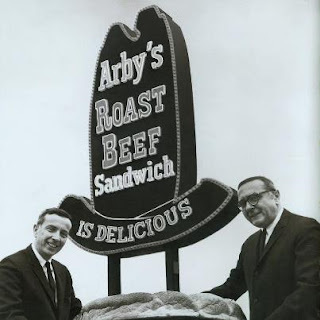 Arby's has been serving up their classic roast beef sandwiches since 1964, and on Monday, July 23, 2012, the restaurant will offer their signature sandwich, The Classic Roast Beef, for just 64¢. Arby's is celebrating their 48th Anniversary by utilizing the Facebook Timeline in a fresh and innovative way. To claim the celebratory coupon, fans must travel back in time to 1964 on the Arby’s Facebook Timeline. In addition to finding the coupon, fans will also discover classic photos, commercials and trivia associated with their founding year. Beginning Friday, July 20th, fans can print their coupons from Arby’s Facebook page and redeem them at participating restaurant locations during regular business hours on Monday, July 23rd. 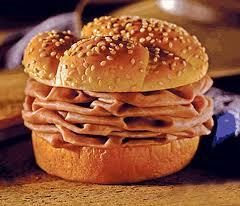 So travel back in time starting on Fridy to print your coupon for a Arby’s Classic Roast Beef sandwich for only 64¢!